Located in Suffolk County on Long Island, Terryville is a hamlet and census-designated place within the town of Brookhaven. A hamlet is an area within a town that is not incorporated on its own but that is designated with a name. Because it is not incorporated, it falls under the jurisdictions of the town, in this case Brookhaven. Along the same lines, a census-designated place usually does not fall within a town or village but is categorized for use by the Census Bureau when determining population. A sign welcomes visitors and residents to the Hamlet of Terryville, home of the Buttercup Dairy, since the 1920s. Buttercup Dairy, once a true dairy farm with cows, is today a small deli offering meats and fresh vegetables. As of 2010 census, there were 11,849 people, 3,748 households and 2,894 families residing in the CDP. The median income for a household in the CDP was $80,135 and the median income for a family was $100,484. Males had a median income of $66,165 and just $42,382 for females. Terryville Volunteer Fire Department, operates out of three stations and serves the hamlets of Port Jefferson Station and Terryville. Active membership consists of over 115 firefighters and fire police personnel. The first European settlers of the area that would eventually become Port Jefferson Station and Terryville arrived in the mid-1600s. Primary occupations of those settlers were fishing, whale hunting and farming. However, with the advent of the railroad line connecting the eastern end of Long Island with New York City, the shift to commercial enterprises and suburban residential areas began. Today, Terryville provides suburban living within easy reach of the city. 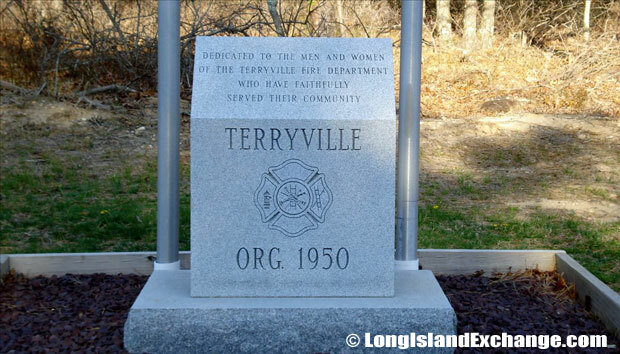 Memorial stone, dedicated to the men and women of the Terryville Fire Department, organized in 1950, who have faithfully served their community. As a contender in Money magazine’s 2011 list of Best Places to Live in America, Terryville is home to roughly 12,000 residents. Average home prices are between $250,000 and $300,000, slightly lower than some surrounding areas. Average family income is around $94,000, making home ownership in the area generally affordable. While not listed within the top ten Best Places to Live, Terryville compares favorably to those at the top in several categories, including the median family income, state income tax rate, sales tax and job growth. The edy Middle School, a public school with 843 students in grades 6-8, is located in Port Jefferson Station and serves students living in the neighborhood of Terryville. As part of the town of Brookhaven, Terryville residents have access to both the north and south shores of Long Island within town limits. Brookhaven is the only town on Long Island to stretch across the island north to south. In addition, a large portion of Fire Island, a barrier island to the south, is considered part of Brookhaven as is a portion of the Great South Bay, both highly sought after tourist destinations in the summer months. Accessible by road only at both ends and by cross-bay ferry at other points, Fire Island is a popular beach destination and provides for a large tourist industry during the summer months. In addition, the Great South Bay is popular among boaters and fisherman, both visiting and local. 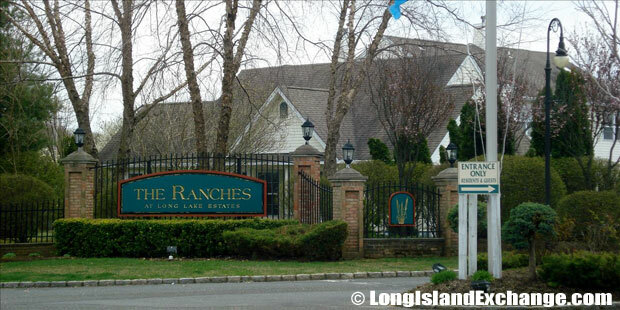 The Ranches at Long Lake Estates, a condominium community with 176 homes and over 300 residents, is protected by a 24-hour security guard. While Terryville and Port Jefferson Station provide many desirable residential areas, many of the area’s residents commute outside of the area for work. With the proximity of Stony Brook University, one of the industries with the most draw from Brookhaven, including Terryville and Port Jefferson Station, is educational services. Stony Brook is part of the State University of New York, a public university, and employs over 13,000 from the Brookhaven area. In addition, Suffolk County Community College, Dowling College, and St. Joseph’s College are all located in close proximity to Terryville, adding to the employment in educational services. Leisure time for residents of Terryville can be spent visiting the Long Island Museum, with over nine acres of displays related to art and local history. In addition, Wildwood State Park provides areas for picnicking, fishing, camping, and swimming. With over 600 acres of undeveloped forest, there are also trails for hiking or biking, as well as beach access and a playground area for the kids. The Polish American Independent Club at 35 Jayne Boulevard, Port Jefferson Station, first established in 1934 to foster the preservation of the Polish and Slavic heritage in the community. The PAIC of Port Jefferson Station is located next-door to the Terryville Fire Department.